(Morning Star News) – A court in Bhutan on Wednesday sentenced Pastor Tandin Wangyal to three years, 11 months in prison for receiving funds for ministry activities from a Christian organization. The verdict from the court in Dorokha, Samtse District asserts the pastor received US$11,864 in funding from a foreign Christian organization to conduct trainings and spread Christianity in the Buddhist country, sources said. A source on Thursday (Sept. 11) told Morning Star News that Wangyal had been granted a one-year bail after paying a fine of US$763. Today, however, the source said authorities had refused to release the pastor due to a technicality on the release papers. The release on bail will amount to year subtracted from his sentence. Another pastor, M.B. Thapa (known as Lobzang), was sentenced to two years and four months for taking Wangyal to a village for a gathering for which he allegedly had not obtained prior permission, but he was entitled to pay a fine of US$1,678 “in lieu” of prison that enabled him to remain free. Wangyal was convicted under Article 71 of the Civil Society Organization Act of Bhutan, which outlaws raising funds for activities “in contravention of the laws of the country” and without prior permission. The pastors were arrested in Khapdani village, Dorokha area in Samtse District, on March 5. The pastor had 10 days to appeal, but in comments to Morning Star News hours before he was detained Wednesday night (Sept. 9), Wangyal said he had already filed an appeal in Samtse District Court and was hoping for bail. Wangyal and his wife have three sons, ages 8, 5 and 2. The two pastors were apprehended after they had reached Khapdani village in Dorokha to attend a foundation-laying ceremony. The police confiscated Wangyal’s laptop hard disk, mobile phone and a movie projector. Before winning release on bail on April 22, the two pastors were detained for 49 days without formal charges. The evening of March 4, they had spoken at the ground-breaking ceremony for a new house at the invitation of another Christian in Khapdani. They were planning to hold a three-day seminar in the village the next day that included screening of a film, but as they were trying to transport a child who was ill to a hospital, police arrested them. At the United Nations Human Rights Council’s recent Universal Periodic Review of the Buddhist nation in Geneva, Switzerland, the United States and other nations urged the tiny kingdom to protect religious freedom by allowing people to freely practice their faith and by granting all religious groups equal opportunity to obtain legal status. 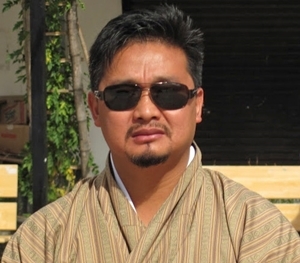 Thapa (Lobzang) said he was grieving for his friend and colleague. The miniscule Christian community remained underground until 2008. Bhutan transitioned to a constitutional democratic monarchy in 2008 after a century of absolute monarchy.